What a whirlwind school vacation week! 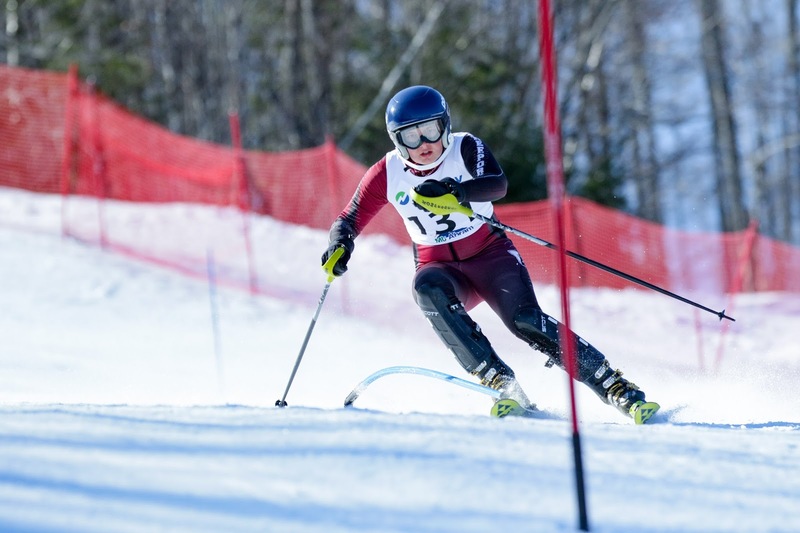 Our youngest son Isaac participated in the Maine Class A Alpine ski championships at Mt. Abram. 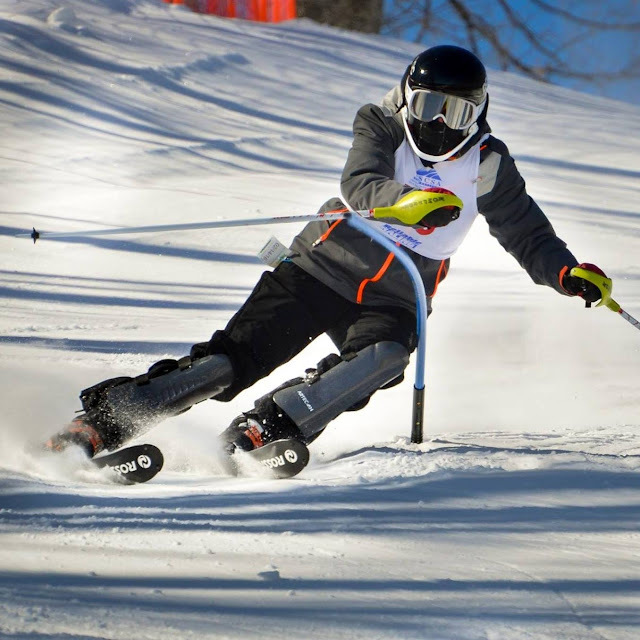 The event was delayed a day by another day of miserable rain, followed by colder conditions which created an extremely icy course for both the Giant Slalom and Slalom events. Isaac did very well overall, as he placed in the upper half of the field in GS and upper third of the field in Slalom and stayed up on his feet all four runs. Being our senior, this was our last high school event. It has been a great 9 years of watching our kids participate in the Freeport Middle and High School Teams! Our oldest son Alec is off at Ithaca college and he joined the IC Alpine Club race team. He has been all over upstate New York participating in USCSA races. He just completed regionals and had a fine year and had a lot of fun. He feels like he improved his race skills quite a bit. Alec racing Slalom in -15 temperatures! What we really live for is our free skis and lots of natural snow. Sadly this year has been lacking in the snow department. Our favorite mountain Saddleback is still closed and it has just been a bummer snow year so far. We decided to close out our school vacation week at Wildcat in New Hampshire. They have a nice Sunday afternoon $30 lift ticket and they reported a bit of fresh snow over the weekend. It was quite literally three different mountains. Top 1/4 - Nice soft powder turns and we skied our first natural snow trails of the year. Some of the best ski turns of the year. Middle 1/2 - ROCK SOLID ICE. Firmest conditions I have ever skied. It must of rained and froze mid-mountain. Some of the worst skiing of the year. Bottom 1/4 - The very bottom loosened up for some spring like conditions. Very weird day. We wanted to keep going up to the top to ski the fluff but the middle was so awful it didn't make it worth it. Just a continuation of this weird winter we are having. Regardless, a day skiing is better than staring at the mud in the yard. We are enjoying getting up late on weekends this year and doing half days at the hill. Here is a video edit of our day.